Our San Bernardino work injury lawyers have been practicing law since 1979 and have earned a successful and respectable reputation in the legal and insurance communities. Our 30+ years legal experience, community development and firm name recognition provide a unique advantage for our clients. We understand that you are looking for a seasoned lawyer for your workers’ compensation or work injury case who has seen it all and can handle anything. Our workers' compensation attorneys will take the time to speak with you, handle your case as quickly as possible and get the maximum settlement or verdict recovery for your case. We know you want the best and our reputation in San Bernardino and through out Southern California speaks for itself. We are among the best San Bernardino work accident and work injury attorneys you can find. 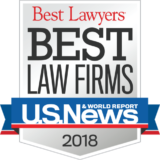 The San Bernardino work injury lawyers at DiMarco | Araujo | Montevideo have been helping people recover and win their work accident cases since 1979. Our work accident lawyers know how severe work injuries can be and have the resources and experience to help maximize your case. They will do everything they can legally do to make you whole again. That includes investigating your case to look for other possible responsible parties in addition to your employer or place of work. The additional responsible parties are known legally as Third Parties and can be a person or a company. The San Bernardino attorneys at DiMarco | Araujo | Montevideo truly believe that it is right for those who caused you to be injured should be a part of your recovery. When a Third Party is involved in your work injury case, our work accident attorneys in San Bernardino will file both a worker’s compensation claim and a civil legal cause of action against the additional Third Party who caused your injury or accident. A Third Party civil lawsuit and a workers’ compensation claim are separate injury claims that are distinct. These claims, although separate, are closely intertwined. Our work injury attorneys are very experienced in handling this complex scenario. We have been representing injured clients who are eligible for both workers’ compensation claims and Third Party civil causes of action, simultaneously, for over 30 years. Contact us today for a free initial consultation. California law requires all employers, even those with only one employee, to carry workers’ compensation insurance coverage. This system helps to ensure that all workers who suffer injuries while on the job have access to workers’ compensation benefits to relieve the economic stress of medical bills and lost wages. Once an employee sustains a workplace injury, he or she should report the injury to the appropriate supervisor or manager immediately. Some injuries do not manifest immediate symptoms, so if you notice something that you believe occurred due to a previous incident, report your concerns to your supervisor immediately to start the claims process. The State Workers’ Compensation Board will require you to undergo a medical examination from one of several approved doctors in their network to determine your condition and eligibility for benefits. All employers must provide injured employees with the forms required for making workers’ compensation claims and process them in a timely manner. Although a claim may cause the employer’s insurance premiums to increase, the employer still has a legal obligation to process a claim in good faith. This means an employer cannot take adverse action against a claimant simply for filing a claim or interfere with or delay the claims process for any reason. To learn more about the different worker’s compensation laws in San Bernardino and California, speak to one of our workers’ compensation lawyers today. Is It Possible For My Workers Compensation Claim to Be Denied in San Bernardino? There are numerous issues that may potentially complicate the workers’ compensation claims process. Missing paperwork, failing to meet filing deadlines, or failure to appear for required hearings can all have a negative impact on your claim. However, it’s possible to follow all the right steps and still encounter problems. Hiring an experienced workers’ compensation attorney will be a very wise decision after any workplace injury. Your San Bernardino work accident attorney can help you navigate the initial claims process and meet your filing requirements to limit the chances of a delayed or denied claim. If there is any pushback against your claim, your lawyer can help you determine an acceptable solution or explore alternative remedies. Who is Liable for My Work Injury? If your employer or a supervisor knew about a dangerous hazard in the workplace but did not address it in a timely or effective manner, you may have the option of filing a personal injury lawsuit against your employer. If a defective or dangerous product caused your workplace injury, you might have the option of pursuing a product liability claim against the manufacturer. Your workers’ compensation attorney will help you determine if the product in question was defective by design, by production, or if it did not include adequate instructions for use or safety warnings. In these cases, a plaintiff does not need to prove the manufacturer was negligent, only that the product in question was defective and responsible for the plaintiff’s damages. Another party unrelated to your employment may be liable for your damages. For example, if you are making a delivery for work and a drunk driver hits you, you would still qualify for workers’ compensation since you sustained an injury in the course of your job duties. You could then take legal action against the at-fault driver for additional recovery. Your San Bernardino workers’ compensation lawyer will be a tremendous asset after any job-related injury. If there is any question about liability for your damages, your attorney will help you gather the evidence necessary to determine the appropriate defendant for your lawsuit. Schedule a consultation with DiMarco | Araujo | Montevideo today. All workers in the state of California are entitled to benefits after a workplace injury. Every employer with one or more employees must carry insurance or offer proof of self-insurance to maintain compliance with state laws. However, in some cases, an insurer is deliberately trying to minimize the payout to a deserving claimant. Unless you’ve had a work accident before, you may not understand the process, your rights as an employee, or your employer’s responsibilities. At DiMarco Araujo Montevideo in San Bernardino, we help injured workers through all types of injuries, accidents, and claims complications. We offer comprehensive legal support to our clients and will represent them against insurance companies in bad faith claims. Your employer is paying for the full terms of the policy, and you deserve to receive fair compensation based on a set of fair and accurate terms. Initial consultations are always free and can help you determine if moving forward with our legal assistance is right for you, so contact our office in San Bernardino today for more information. Our attorneys have been assisting the San Bernardino and Southern California communities for over 35 years.